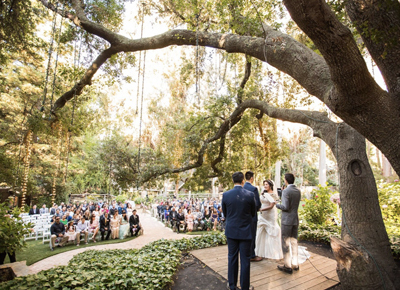 With the catering costs, decor decisions and general hoopla of weddings, it’s easy to lose sight of what the day is really about (ahem, love, people.) Which is why we really swoon for the simplicity of a courthouse wedding. Today’s cup of inspiration? Virginian newlyweds Allison and Mike. After getting engaged last spring, the duo immediately knew they wanted to skip the stress and expense of a traditional wedding. The fact that their parents offered to put a wedding budget toward buying their first home together just sweetened the deal. Surrounded by only their immediate families, Allison and Mike tied the knot under a canopy of maple leaves at the prettiest little courthouse we ever did see. Spoiler: It was kind of perfection. We dare you not to be inspired by this casual, inexpensive and totally lovely celebration.